Production, development, wholesale and retail supply of Sopharma medical and biologically active substances | Inter-s Group Ltd.
Inter-s Group was founded with consent of the international pharmaceutical holding Sopharma Pharmaceuticals and with support of Delta Sales (UK), the holding's representative in the Russian Federation. The Moscow branch was created to optimize and manage stock, distribution and pricing and easier compliance verification for a number of drugs that need to be shipped in batches, require extra handling for delivery of costly standards, columns, etc. Inter-s Group distributes Sopharma Pharmaceuticals' products in all regions of the Russian Federation. We offer the advantages of ready stock in needed quantities and assortment, good service, well-organized and experienced staff, hence the ability to handle orders of any complexity on short notice. Beyond this function, Inter-s Group develops, manufactures and sells (on the retail and wholesale basis) cosmetics and dietary supplements, provides logistics, secure storage and custom clearance of goods, advertising and marketing support. 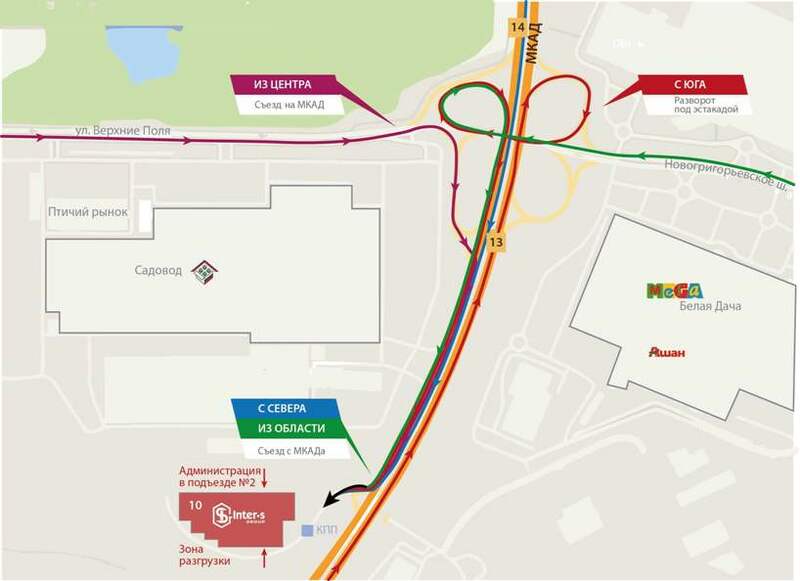 Inter-S Group has its own logistics net to bring your company’s products anywhere in Russia. Inter-S Group handles and consults on customs clearance, legal aspects of deals, managing and using customs storage and temporary storage. Inter-S Group can study the pharmaceuticals / supplements market, advise you on how best to promote your products, stage and advertising or PR campaign, develop websites, your hallmark style or packaging look. We can also help you organize events – conferences, presentations, workshops or corporate parties. Development and manufacture of drugs, cosmetics and supplements. Sign a contract, and we will take on the entire product lifecycle from composition to label design, manufacture, product registration, delivery and sales. Inter-S Group imports and sells in Russia cosmetics of Bulgaria’s most fashionable and modern brands. We offer retail and wholesale deals. You can browse our selection at http://interscosmetics.com, buy from our online store, Interes, at http://interscosmetics.ru, or see our products in popular retail network. Contact our managers with questions at: +7 (495) 747-11-17, info@intersgroup.com. Inter-S, part of Inter-S Group, has developed, produced and shipped to all regions of Russia natural bioactive food supplement since 2010. These unique formulas of Russian scientists have earned the highest praise from doctors, coaches and professional athletes. Contact our managers with questions at: +7 (499) 369-01-60 (wholesale), +7 (499) 499-00-31 (online store), +7 (495) 747-11-17, info@intersgroup.com. Inter-S Group is a wholesale company, but its cosmetics and supplements are available from popular retail networks and online at http://interscosmetics.ru. If you have any questions, please, contact our managers: +7 (495) 747 11 17. Also you can ask your question by filling out the following contact form. Copyright @ 2016 - Inter-s Group Ltd.